Is anyone else feeling a bit overwhelmed that the holidays are barreling toward you like a semi-truck? In an attempt to slow things down & quell my "spinning out-of-control" emotional state, I have tried to stay away from Blogland for a bit. My home is still decorated for Fall and Thanksgiving, so seeing all the Christmas-filled blogs has been making me feel anxious. 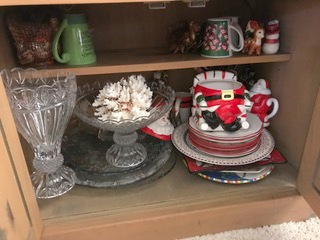 I will eventually get around to seeing your Christmas digs, but not until after Turkey Day! I've been keeping myself busy with some small projects and getting things ready for company. Our son and family are spending Thanksgiving with us! I am so excited! We haven't had company for Thanksgiving for a long time, so I am gratefully turning the "turkey duties" over to our son! I am so excited to have some of our grandchildren here for this special day. 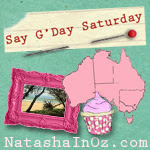 Okay, so what have I been doing while not being on Blogger? Lots of this and that. One day I was studying my formal living/dining room, trying to come up with ideas to make it feel more cozy & less stuffy. Well, I decided this armoire needed a new purpose. You have seen it many times (this pic was taken last Christmas), but I have never shown the inside....there is a very good reason why. 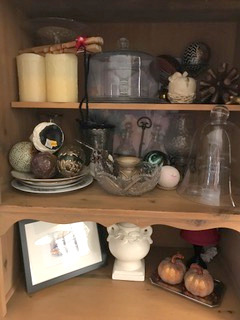 This is the lower part of my china cabinet....it was also involved in my lightbulb moment. 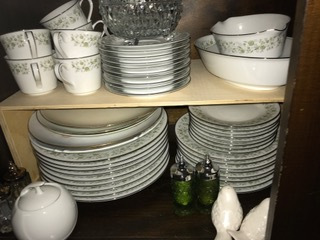 This is where I was keeping our wedding china & a few other odds & ends. 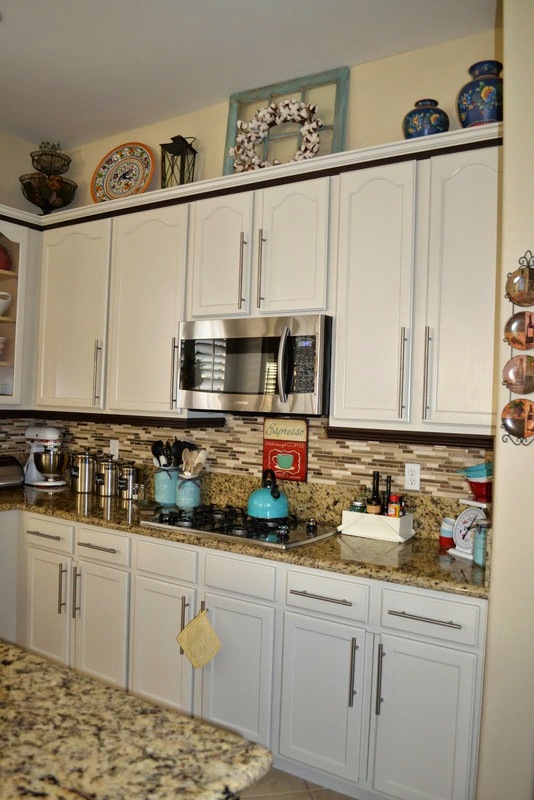 Anytime I wanted to use these dishes, I would cringe at the thought of practically standing on my head to get to them and change my mind. Well, not anymore! I cannot tell you how much I love the new arrangement. I'm also elated that I can now have the doors open, and my mind is already spinning with how I will decorate this new area for Christmas! I also added some poster-board to the backside that looks like painted wood & adds a lot of light. The lower part still needs some work, but it is great storage for some of my larger vases & such. And Christmas on the left. I only have to get to them once a year, so no big deal! The Man loves this print, so I've been trying to embrace it by adding more of these colors to the room. You will see more of what I'm talking about when you see the new centerpiece on my dining room table. I'm loving these new furry pillows. I bought them at HobLob....I know a thing or two about making pillows, but I seriously cannot make them for what I can buy them for at this store (on sale, of course)! And they are made well. Sorry about the quality of some of my photos....something is awry with my camera. I got a bit carried away making cloth pumpkins in lots of the colors in that print above our sofa. I will also be adding more of these colors in the place settings I'm planning for Thanksgiving dinner. I'll try to remember to share. This one, using some hand-painted china that The Man's aunt painted many, many years ago. 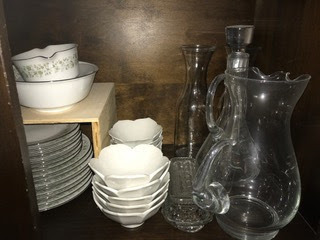 I have displayed a few of her plates, but I have a bunch; so I decided to make these display pieces with some of them. I think this one is so sweet. Oh, can you see how I used corks for the stems on my pumpkins. I pretty much depleted my stash of corks....better drink more wine! I shared this on IG yesterday. 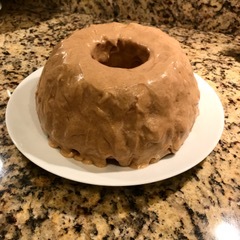 It's Pumpkin Pound Cake with Brown Butter Icing, and you can find the recipe HERE. Thank you, Carol, at The Red Painted Cottage! I took this cake to a neighborhood block party last night, and it got rave reviews! I also shared this on IG. It's a most delicious Pumpkin Bread, and you can find the recipe HERE. Thank you, Marty, at A Stroll Thru Life! Whew, that was a lot of chitchat and photos wasn't it? 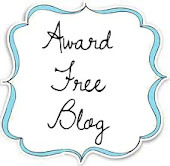 That's what happens when I stay away from blog buddies for awhile....so much to catch up on! Anyway, I hope you enjoyed this post. I probably won't be back to do a another post until after Thanksgiving, but I may be sharing on IG. In case I don't have the opportunity later this week, I just want to wish everyone a very happy and safe Thanksgiving!